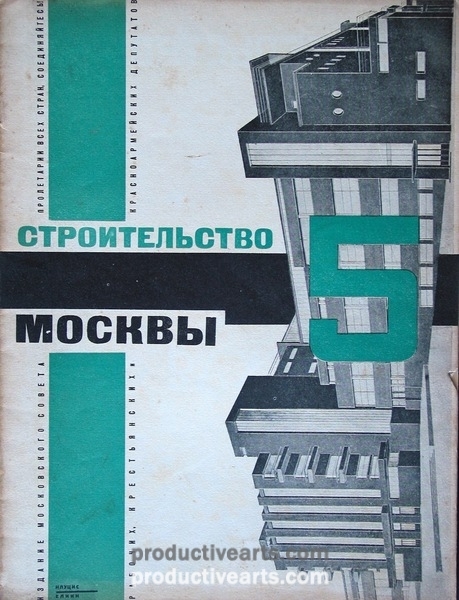 Stroitel’stvo Moskvy. 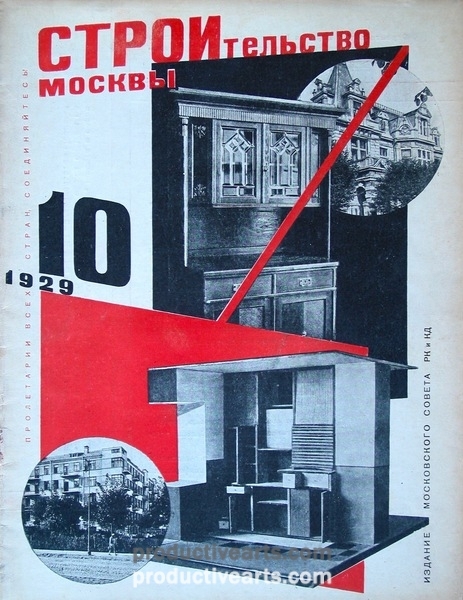 Organ of the Moscow District Executive Committee. 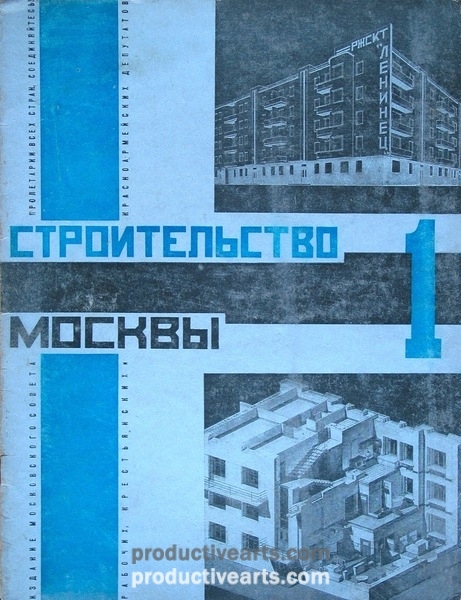 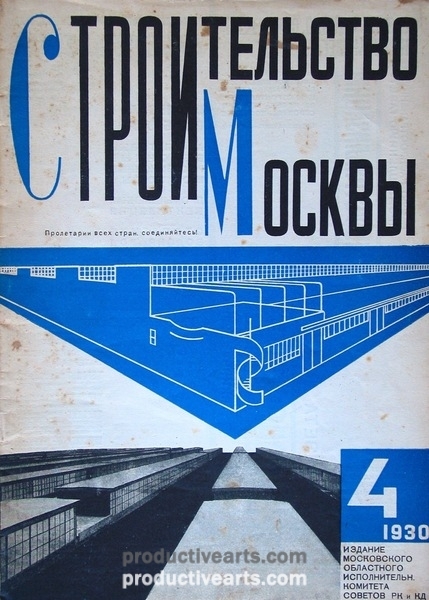 Monthly journal dedicated to industrial and municipal building, planning of the so-called social towns, collective farm building and the industrialization of construction. 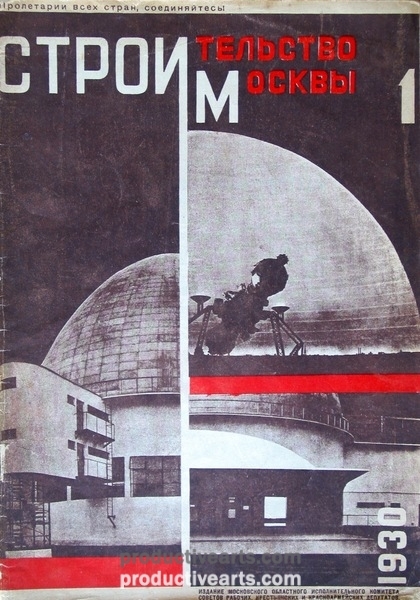 Getty #758. 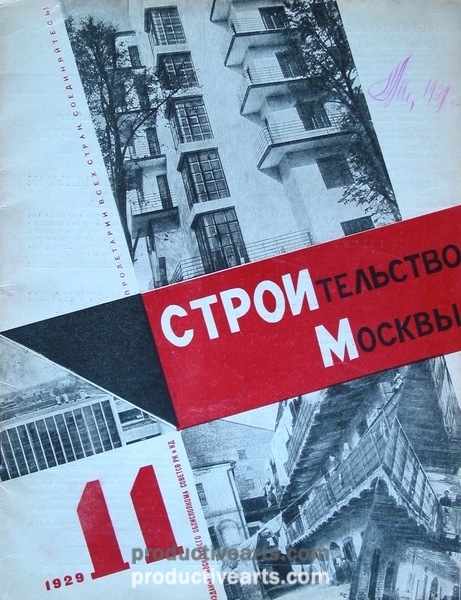 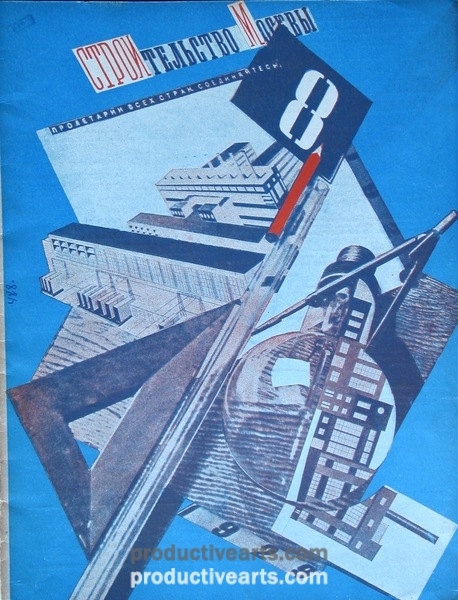 In the late 1920s-early 1930s, the journal had photomontage and constructivist covers and layout.